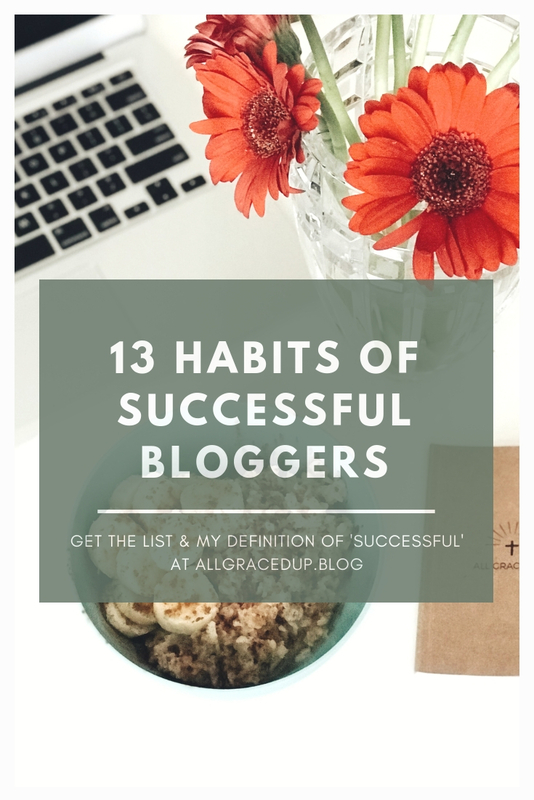 I haven’t been blogging for very long but I’ve read a lot of blogs about how to become a blogger & I’ve noticed a theme in the busy momma blogger community, I’m sharing 13 habits of successful bloggers. I’d love to hear your blogging tips! Please share them in the comments below! I’ve been blogging for just over a year now & my curiosity isn’t going away. If anything, it’s gotten really bad over the last month or so & I’ve become completely obsessed with blogging, blogger habits, etc. I’m a Psychology major, so I think I’m looking for characteristics, similarities & habits of successful bloggers. I think what I’m finding is that we’re all so different. You’ll search one topic & find so many different ways that people do things. This can be really helpful because you can tailor their idea to your own values & standards. I guess that’s one thing I love about blogging is that it’s a self-help guide, in most cases, & that blogger has decided to share their advice & hands-on, learned experiences with the world. There’s something I love about ‘mom’ bloggers though. When I find out that a blogger whose content I’m reading is a momma, I kinda smile. Like, okay, I can do this because they’re doing it too! It’s like a soul sisterhood or something. Motherhood is an amazing thing & it’s pushed me to new heights because I’ve realized that telling my kids to do ‘hard’ things means I need them to see me do ‘hard’ things. It’s also important to consider that we could all measure ‘hard’ so differently. I read this book on Grit & it’s helped me understand this idea so much better. I hear about bloggers, blogging for just under 6 months & already bringing in revenue. It’s easy to compare myself to those bloggers & their success & want their success, but then I have to remember that I’m not them. Here is a little of my workin’ momma story & why I changed my definition of ‘success’. I’ve had four kids in eight years. I had a career in escrow for TWELVE years & went to school & had two babes, while working. So a lot of my life was running from one place to the other, trying to find balance & enveloping myself into a different idea of ‘success’. I LOVED the feeling of accomplishment but quickly met burnout & he wasn’t very nice to me. I got vertigo & after losing my dad & having a third baby, I questioned my ‘purpose’ in life. I then re-discovered my love for reading & writing. So here I am trying to fulfill the calling that I believe God has placed on my life. Not a sob story, just trying to share my story so you can get a better understanding of why I define success the way that I do. Here’s a little about my story of motherhood. It’s been a dream come true. I also have found a new love of sharing my story after losing a tiny baby from Trisomy 18. I acquired so much experience in just the first few short years of motherhood & I felt this was the best platform to do that. I also learned that the experience I acquired can look so different than the experience another mom acquired. It’s fun to search ‘best ways to get a baby to sleep’ & watch the hundreds of blog posts populate. They all will say similar things, but that mom’s experience is her own & it’s special & this is what I love about blogging. So many mommas, sharing their lives & helping other mommas. Not to mention all of the other bloggers in different niches, like infertility. They are sharing their lives, their stories in hopes of helping someone else & this, to me, is an amazing thing! Like I said, I’ve completely obsessed over my niche, my audience, SEO & business basics of blogging. All things I’m still working tirelessly on & will be working tirelessly in the future. I believe learning is is a lifelong skill that I will never fully master. I’ve applied for numerous affiliate programs, some of which I’ve been denied & others approved (silent cheer!!). I’ve also reached out to other bloggers, who have been such an incredible help! So long story short, because I like to play the comparison game & because I was once a workaholic, I now define success so much differently. 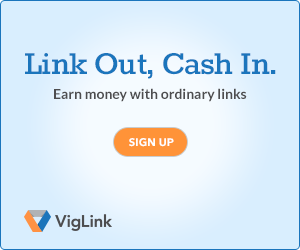 It’s easy to say that success is monetizing your blog & making x amount of dollars from it. But I define success as enjoyment, as commitment & on some days, just picking up the computer & sitting down to type can mean I’ve been successful that day. I’ve lowered my standards when it comes to just about everything. Because my previous standards were somewhat unrealistic & they weren’t even really MY standards. So whatever you define ‘success’ as, go after it. Whatever you dream about at night, on your way home from work, changing the baby’s diaper, or dropping the kids off at school, go after it. Even if it’s a slow start & a somewhat foggy future, it really is rewarding to have something I get to call my own. The reasons I love blogging, as a career. I love that I can blog while the kids are playing or napping. I love that I can homeschool too! It does take time & on some days a lot more work thank I thought but I remind myself I’m in it for the long haul. Yesterday in a Facebook group, someone mentioned they had been blogging for 10 years & just started monetizing their blog. WOW, 10 years! Now I’d call that committed! When a kid gets sick, needs some extra attention or my body is asking me to slow down, I can take a deep breath & remind myself that blogging is a journey. I remind myself that I’m doing this because it was placed on my heart a couple of years ago. I remind myself that I love to write. These reminders help me to give myself grace & to push forward. I’m grateful for the opportunity that I’ve been given to learn & grow, through this process. You can find one of my guest posts, from another extremely helpful momma blogger, here. I’ve met some really nice people in Facebook groups & through social media & I’m finding that they all seem to have similar characteristics, goals & habits. The ideas below are derived from research, from other blogs, experience, asking questions, courses & how to’s. I’m working on learning more about SEO & other things I’ve mentioned below. These are all of my thoughts & opinions & if you have something to share, please do so in the comments below!! We’re all helping each other out & your input matters! They set goals for themselves & their business. They understand that blogging is a journey & not a destination. They make a schedule & try to stick to it, but give themselves grace when life gets in the way. They share wisdom & encourage each other along the way. They celebrate each others’ success & help one another grow. They don’t value themselves according to their likes on instagram. They are curious about SEO & algorithems. They understand the importance of presentation & building a brand. They re-market successful content & re-purpose older content. They sell a product or provide a service, in addition to affiliate marketing. I sell encouraging graphic tee shirts. You can find my shop here. They use Tailwind ; an automated Pinterest scheduling tool. They understand the value of Pinterest & that it’s a search engine. They join Facebook share groups. My blogging journey started out as a hobby, something to create while the kids napped & a platform to share our life with family & friends & it’s quickly turned into something more. Just recently I started researching on how to turn blogging into a career & was encouraged to find all of the ways I could make money from blogging. I’ve found that a successful blogger isn’t necessarily someone who makes a ton of money, but someone who doesn’t give up. If you’re looking into starting a blog, I recommend this course to get started! I also got to review the BLOG 1000 e-book that is a step by step guide on how to start & monetize a blog, you can find my review by clicking the link. 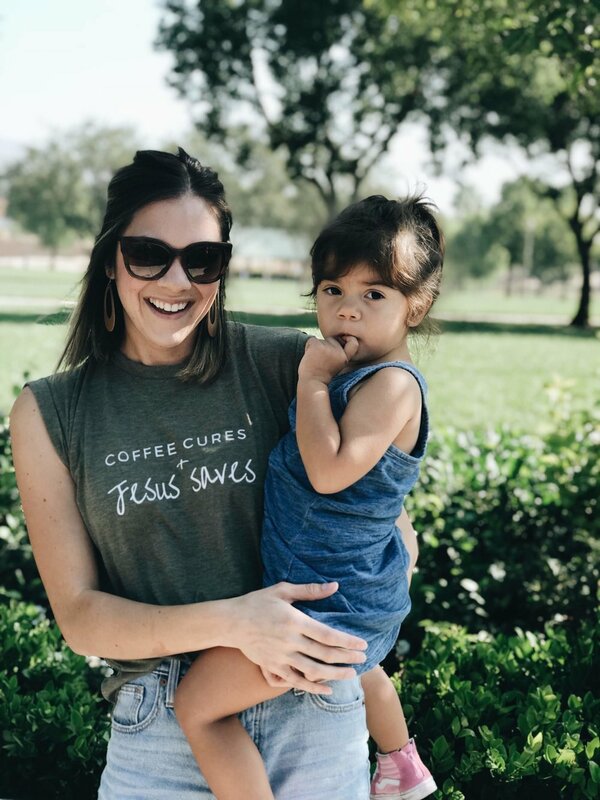 In the end, I’m hoping to spread the message of hope, through my own story, whether that’s my motherhood journey, blogging journey or the combination of the two. I enjoy hearing other people’s success stories & if you have one, please feel free to encourage us all & share it below! Here I share tools that help make mom/blogger life easier. I share my best busy momma health tips, here. disclaimer: there are affiliate links in this post, if you make a purchase by clicking the links in this post, it may result in a small commission to me. happy blogging! You can help support an amazing cause by shopping this tee! All tees are handmade & screen printed. They are Bella Canvas brand. You can follow my mom life journey via Instagram here!